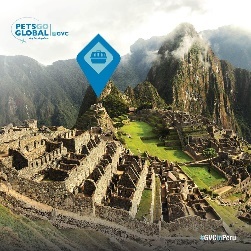 Being a pet relocator has many rewards through the different facets of the work we do. When clients make their initial enquiry, our job is to put them at ease and take the anxiety away from them regarding the preparations required for their big move. 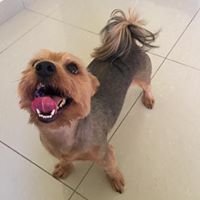 Our pets are the life and soul of our families and are often referred to as our ‘fur babies’ due to the strong love and emotional ties we build with them. Through emails and face to face meetings we build a close bond with the pets and their parents. We find the best routing for travel, engage with our partner agents in the importing country to ensure that there is a smooth transition for a door-to-door service. Our comprehensive estimate clearly shows the breakdown of costs for all the different elements required. We outline the paperwork and preparations needed for pets to travel in comfort and safety, in a crate that is sufficiently labelled so that they have a ‘voice’ when they travel. 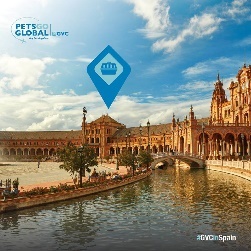 It is exciting to research new destinations and to solidify existing routes and logistics as the pet transport business comes with time-bound procedures and processes. 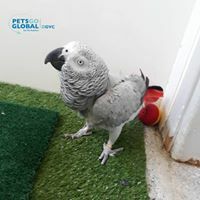 With our growing reputation and track record, we ship not only cats and dogs, but also more exotic pets such as Parrots and Tortoises, many of whom are in a category of their own – being listed as ‘endangered species’ and requiring an extra layer of specific documentation. It is always advisable to plan well in advance – up to six months for some countries! – and to set aside a budget plan. 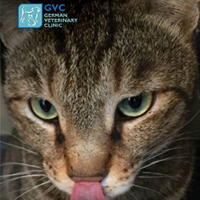 The most important starting point is to ensure that your pet is microchipped and fully up to date with vaccines, and to be aware of any additional bloodwork that may need to follow. 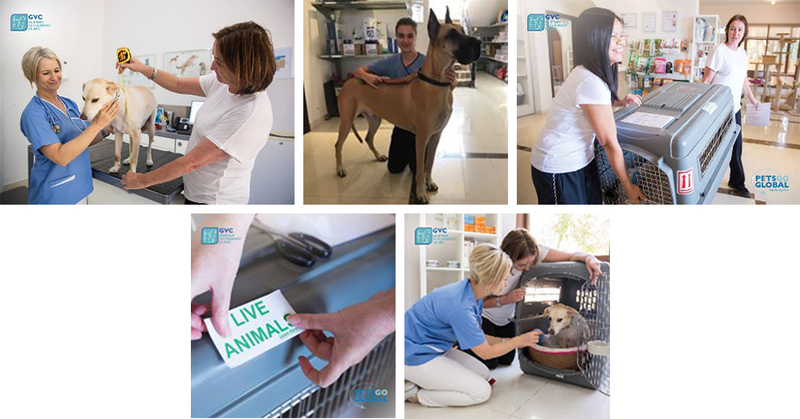 Once our clients are signed up with us, we provide an individualised schedule for their pet’s procedures. 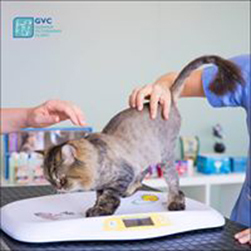 What is unique about GVC is that we have in-house facilities – expert veterinary knowledge, caring nurses and boarding if required – so we can accommodate every client’s individual needs and requirements. 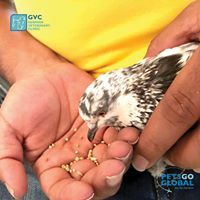 If you need to temporarily leave your pets behind, you can do, in the safe knowledge that they will be adoringly looked after and cared for and will follow on as soon as they are able. Another very important requirement is that your pets should travel in comfort and safety, in airline approved crates and we have a full range in stock to accommodate pets of all sizes. We have a great carpenter on hand to construct wooden crates to IPATA standards for our gentle giants, as well as being able to modify crates for our more exotic friends. We welcome our clients bringing their pets in for a crate fitting appointment and recommend that you purchase the crate in advance of travel, so that your pets can get used to them at home. 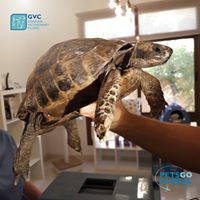 We prioritise the welfare of our pets when travelling and can offer advice on a variety of products that can assist them to reduce stress and anxiety when away from their parents. 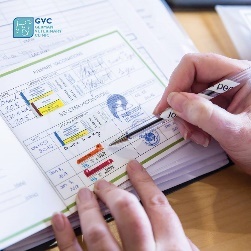 With all preparations ongoing, our team is busy liaising with airlines, compiling travel documents, scrutinising vaccine books, sending bloodwork, receiving results, engaging partner agents, and registering your pets with import / export permits through the authorities. The ‘Fit to Fly’ appointment is scheduled within 10 days of travel and essentially the time where we check your pet’s vital signs through an expert vet examination, double and cross check documents and are at hand to address any last-minute questions about the next steps… This is followed by a short trip to the Official Vet at the airport, where they also scan the pet’s microchip and attest the documents, which we then send to the airlines and partner agents for their information and record. 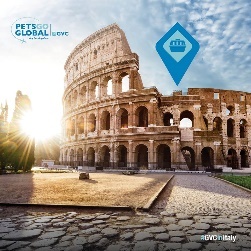 Generally, we book pets to travel on flights in the ‘small hours’ of the morning, airports are quieter and the temperature cooler. Our team has built a great relationship with staff who work there – airline personnel, ground handlers, customs and security police; we have over the years become familiar faces. Check-in begins 4 hours ahead of departure. Pets are happily partying in the air-conditioned van, with the radio playing, while we do all the leg work. Only once all protocols are covered, do we hand over the pets. Their crate has an array of labels and live animal stickers, ice lolly water, doors are securely fastened, and with a last fond farewell, they are moved to the VIP (very important pets) departure lounge ready for up-lift. We contact the parents and importing country agent with a pet photo to inform them that their pets are on schedule to leave. 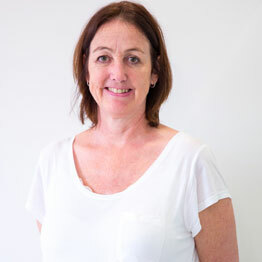 What I love about my job is the compassion I feel for the pets, the variety of our daily tasks – no day is ever the same- the attention to detail required and the great relationships that I build on the way with partners, pets and owners alike. 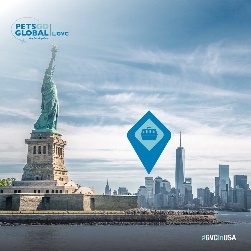 My priority is to alleviate the stress and worry from pet parents, so they can continue their own travel preparations in the knowledge that their fur babies are in safe hands.